I blame it on Halloween and trying to return our lives to normal after I was gone for four days for Quilt Market, but once again, I totally forgot to post the End of the Hallway link-up for the month. I don't have anything huge and new to share today, but I do have a couple Instagram preview pics of my newest Honeycomb Quilt. I finished quilting it two nights ago. I'm in the midst of working on this pattern right now and have realized that pattern writing is hard work. I'm shooting to have it all ready by the middle of the month. I can't wait to share it! This honeycomb quilt is so pretty!! I love the quilting! I'm excited for the pattern! Beautiful quilting, I love how the white thread looks on the dark color fabric. I love the solid fabric too, I think it is the best to highlight a pattern! Oh gosh, this quilt is beautiful! GREAT colors! 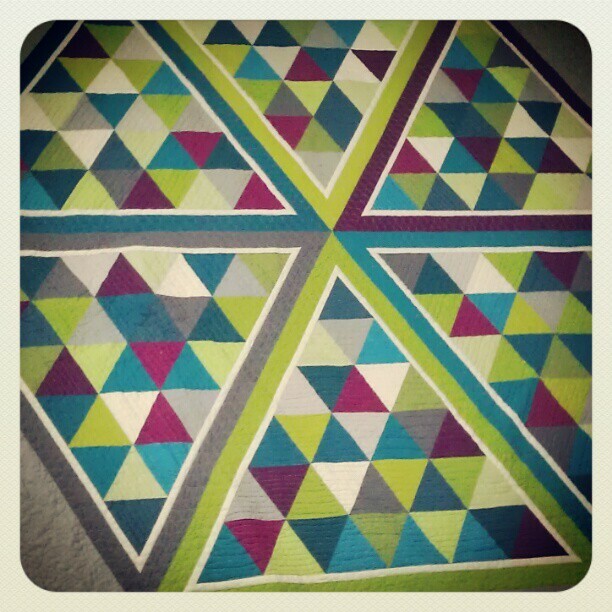 I love your color palette and the quilting looks wonderful! Your quilt is wonderful, good luck with finishing the pattern as I expect it will be a hit. oh this is lovely! Worth the hard work, so thanks! 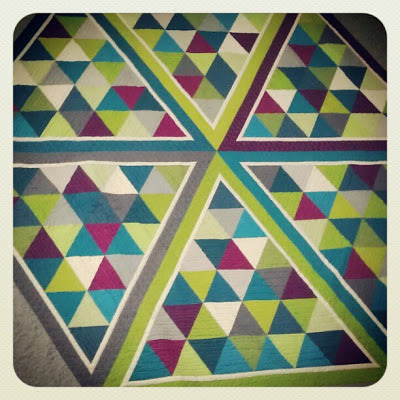 Such a beautiful quilt, Kati! 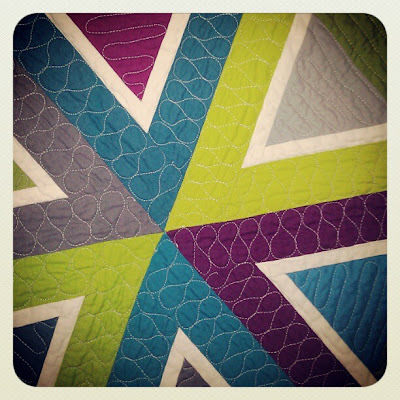 The quilting on your quilt is just wonderful! I LOVE this pattern and love the way you quilted it! !